We all need some kind of storage in our homes, and with the number of things we need, it can be hard to find the spaces to be able to accommodate these units. When trying to choose a storage unit or piece for your home, you will want to go in for something that looks good, while serving its functionality well. There is a lot that one can do to transform a simple area in a home into a storage area that still looks nice and blends into the home well. The farmhouse theme, in particular, is something that is incredibly versatile when it comes to finding good storage options. There are a number of color options that one can go with within this theme, granted that one stays within the pale or pastel color scheme. 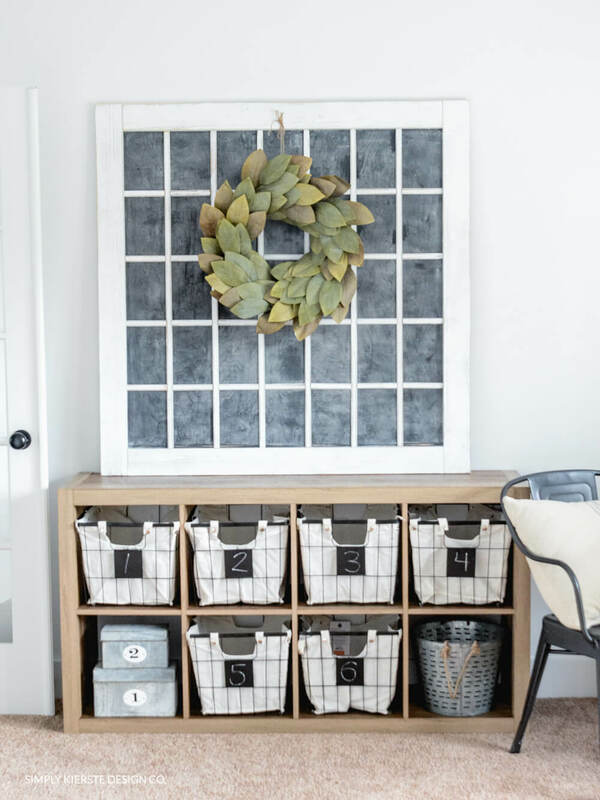 Farmhouse storage and organizing ideas are plenty, and we are here to show you how you can incorporate this theme into proper storage within your home. Most of these can be done by yourself at home and require just a few basic supplies to customize. They are also brilliant inspiration if you want to show a home remodeller the kind of storage that you want. Wooden storage baskets make a great subtle and efficient addition to your home. These kind of bases are incredibly easy to find, and a simple paint job on them can take them up a notch and make them look even better. Getting a storage basket with wheels is even better since it lets you move it around if you need to. 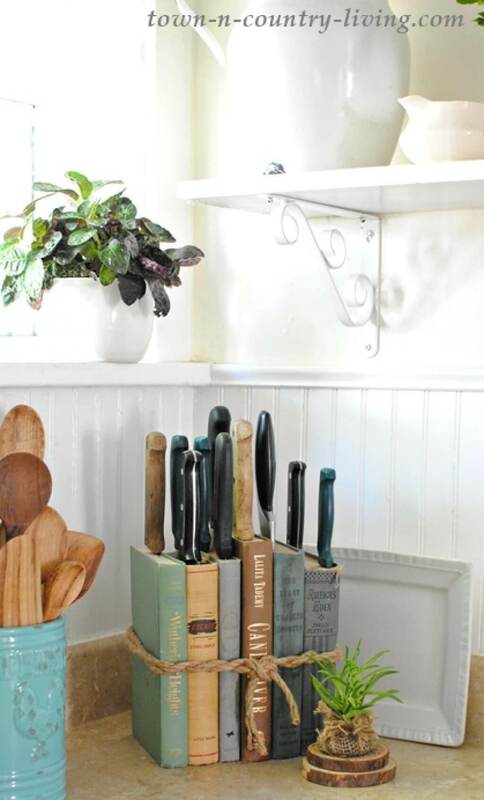 If you want a simple yet creative way to store your kitchen knives at home, this is one way to do it. If you are wondering whether this would be able to hold your knives, you don’t have to worry because it can stand perfectly fine without tipping over and falling down. 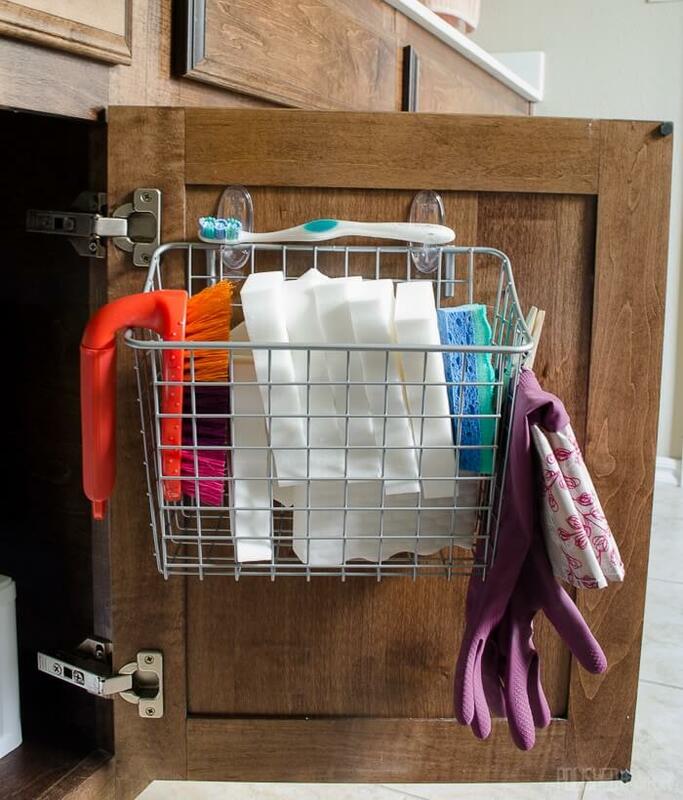 Sometimes, you need a little extra storage within your cabinets as well, and a simple steel or metal basket could be used well for this purpose. With a few hooks, you can easily prop a metal basket up on the inside of the cupboard. Just make sure your basket is just the right size so your door will close. Who said kitchen cupboards have to look boring and simple? This stylish and sleek kitchen cupboard can store everything and anything you need, neatly, and without any clutter. It can be. What’s great about this is that the wooden storage panels can be incorporated into any regular kind of cupboard to achieve a similar look. 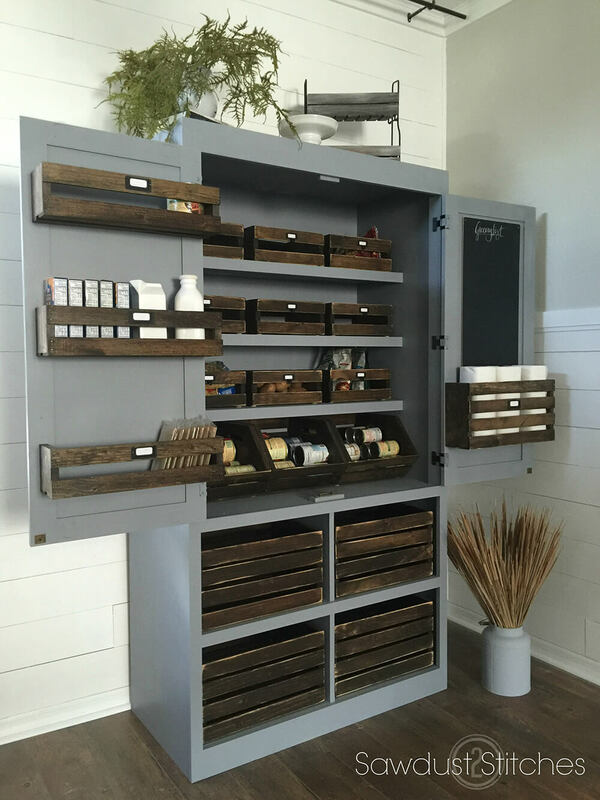 If you are looking for farmhouse storage and organizing ideas, this is one that you can look towards for inspiration. If you are wondering how to incorporate a nice storage for your towels in your bathroom, a simple metal bin can work well for this. All you would need is a few hooks to be able to prop this up on the wall, and you can put your towels inside it neatly. 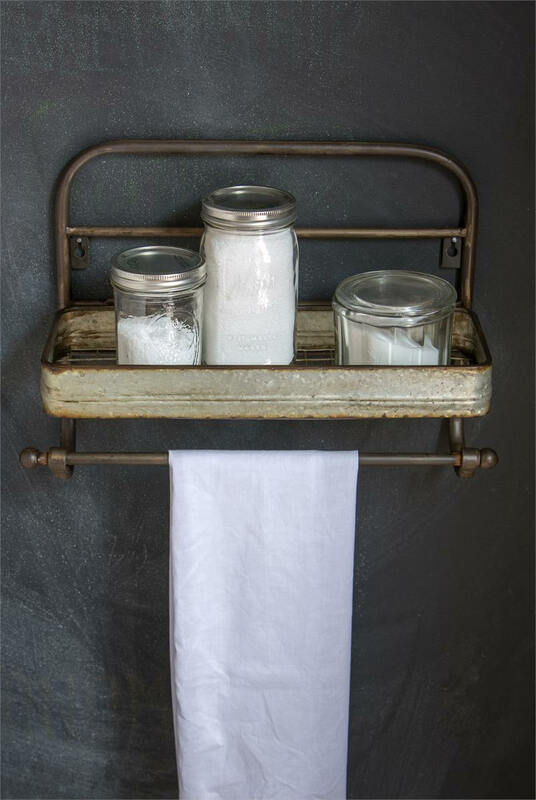 Metal baskets are great for farmhouse storage and organizing ideas and can be incorporated in a number of ways into your home. Sometimes, the bathroom needs more than just one shelf to be able to fit everything, and these multi-level wall shelves are the perfect solution for that. Because they are on the wall, the lower part of the walls is left free, thereby making the bathroom look more spacious, yet functional. 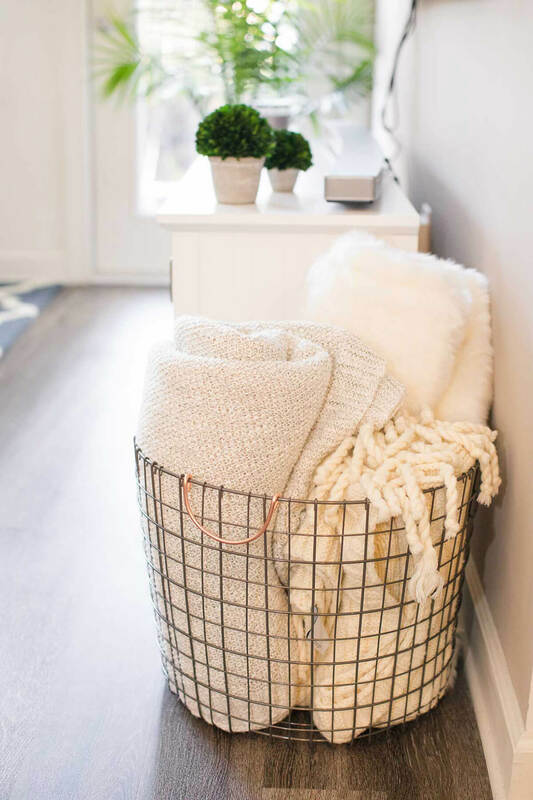 Storage Baskets that are tucked away neatly are a perfect way to keep your things in order and give you something that goes well with the decor of your home. 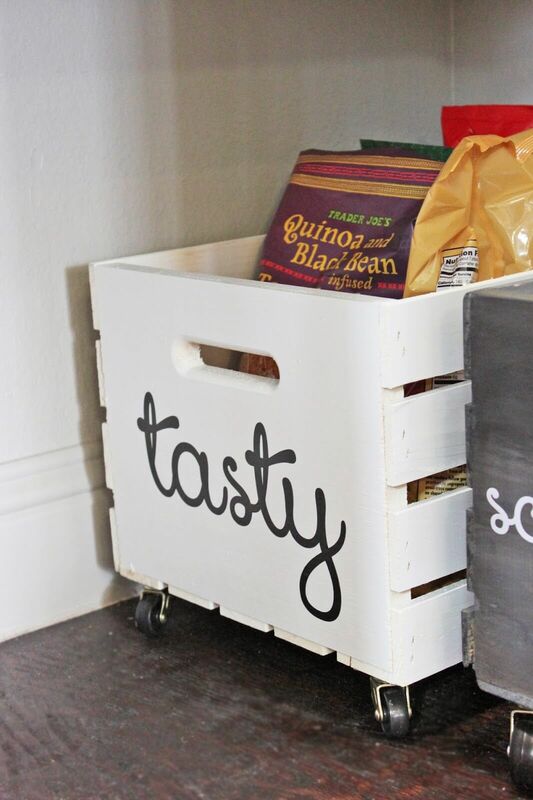 You can customize the baskets in whatever way you like to make them look even better than before. You can either use multiple baskets of one size or different sizes, depending on what you need to store in them. If you have any old cardholders at home, you could opt to use it for a storage piece that can hold a few things on your desk. If it doesn’t look up to the mark, you could give it a fresh coat of paint or customize it in your way to revamp it and make it look good. 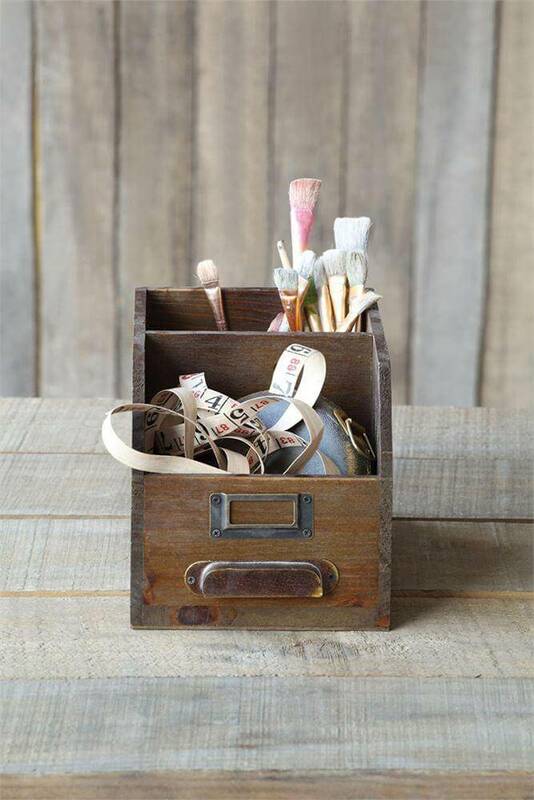 Holders can be used in a number of ways for farmhouse storage and organizing ideas, so don’t be afraid to be creative with its use. Keep forgetting one or two ingredients of a recipe you want to make, why not print it out and stick it on a jat that you can use in your home. 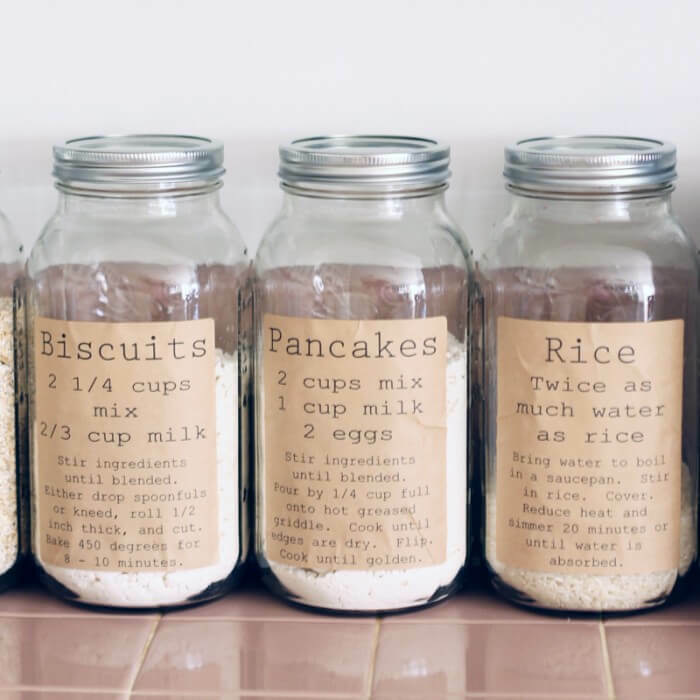 You can even make certain mixes that you would use in a recipe and store them in that so you can always remember exactly what you need to put in. If you and your spouse, or any other member of the family has a set of keys that they tend to use, you have probably had times where the keys get mixed up. 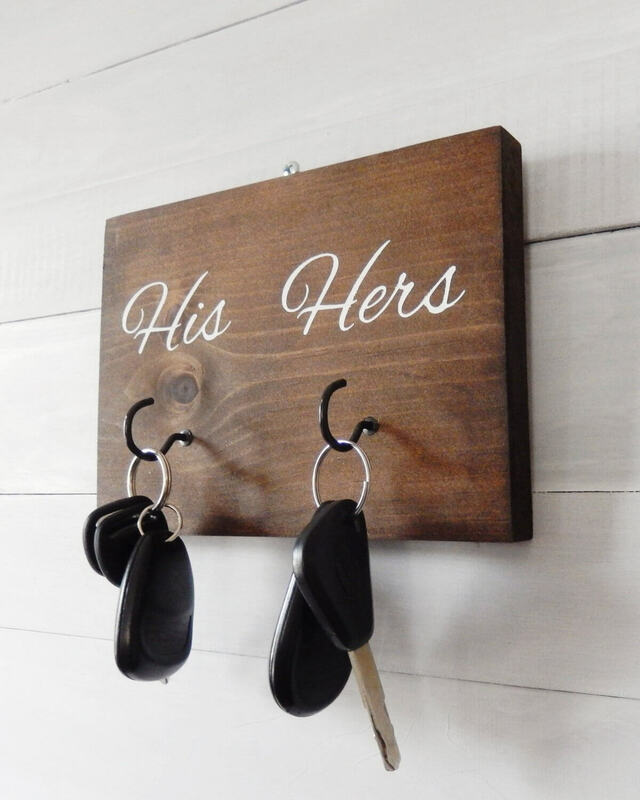 If this has happened to you, then a his and her key holder is the perfect way to make sure that they never get mixed up again. Using ladders as a bathroom accessory is an incredibly popular trend right now, and is also a great way to add some additional storage to your bathroom. A Ladder that has a metal basket along with it is also a great way to store a few more items and make it even more functional. 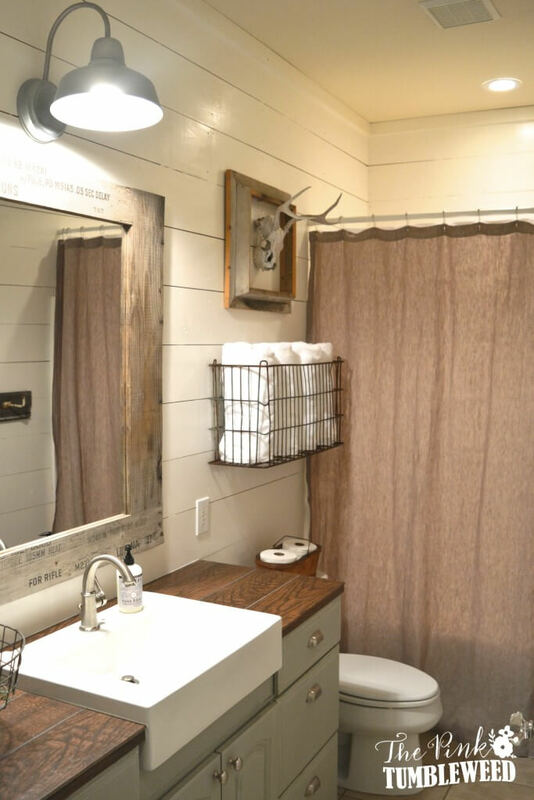 Because of how versatile it is, a ladder used as a bathroom accessory is a great way to incorporate some good and unique farmhouse storage and organizing ideas. 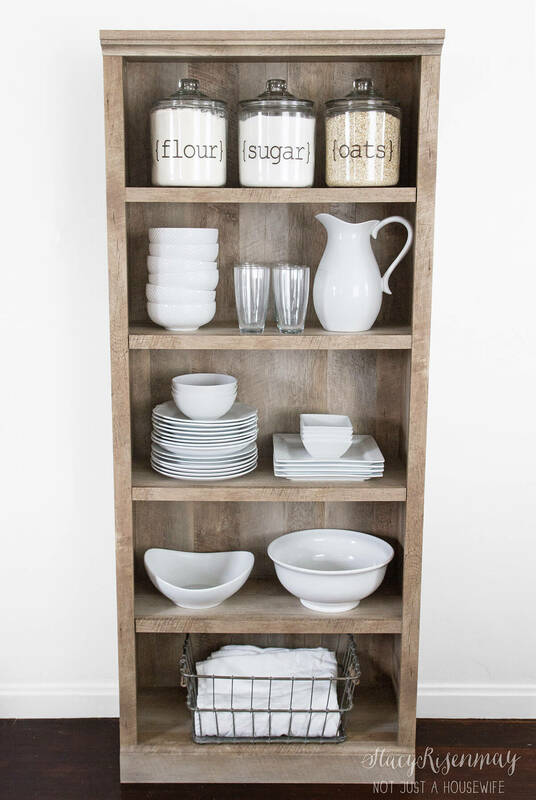 If you are someone who likes the simple things in life, this simple kitchen cupboard is the perfect thing for you. There is not much to it except that it does all that it is supposed to, while still looking relatively nice. If the cupboard matches the rest of your kitchen, then the cupboard will look even better. Doing Laundry can sometimes be a good fun experience, especially if you turn it into a finders game. 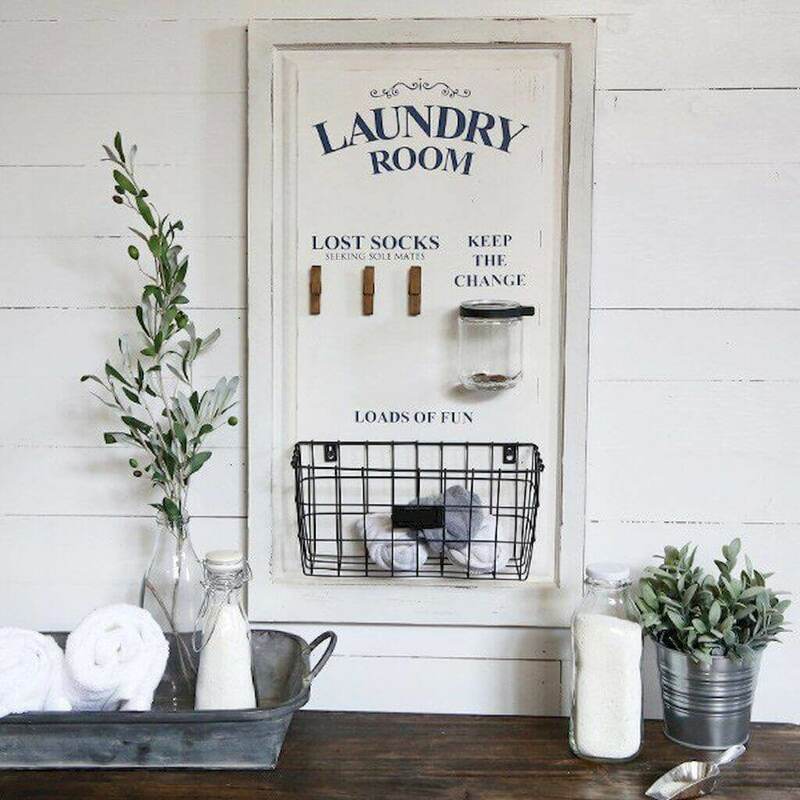 Use this kind of board to either pin up lose socks so that they can find their pairs, or use this to stack up to the loose change that people forget to take out of their pockets. Don’t forget to keep a special basket for any unique things that you might find! ‘Industrial’ is a trend of home decor that is made using iron parts to give it a rather mechanical look and finish. 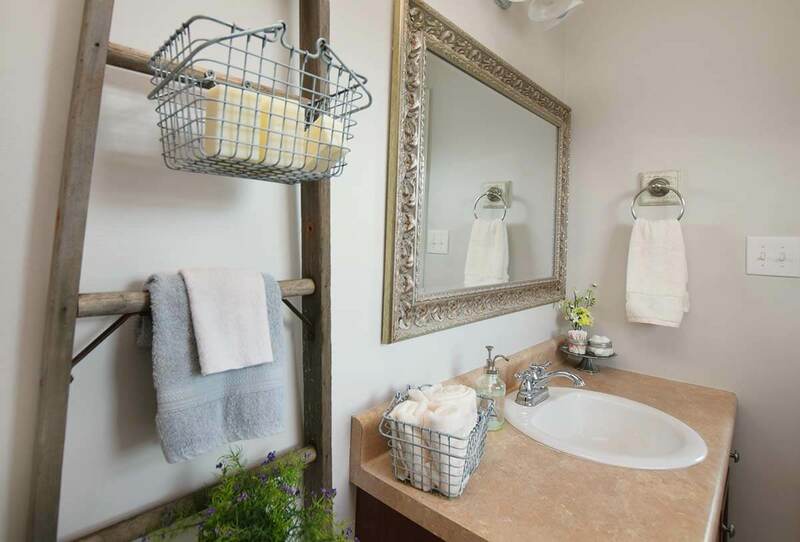 This trend can look incredibly good when incorporated into good decor, and a bathroom holder like this one can truly stand out. You can also use additional containers or mason jars to store more items properly on this holder. If you have a number of towels that you need to store at home, you will need something that is slightly bigger than a holder. 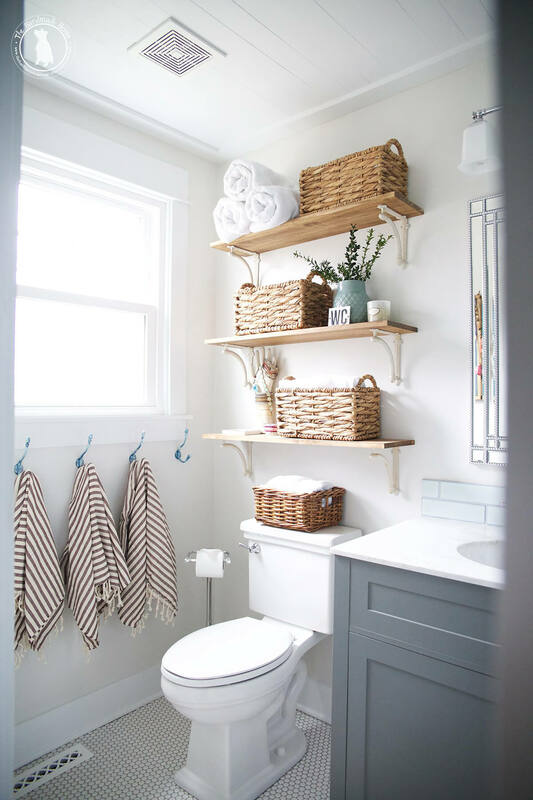 A metal basket that can hold a number of towels and other items at once is generally a good option when trying to find a storage idea that works well for this. You can also change up the color of the metal to better suit your overall theme and color scheme that you are going in for.